Deputy Attorney General Rod Rosenstein had planned to leave the DOJ by the middle of March. But, on Tuesday, sources revealed that he has reached an agreement with Attorney General William Barr to stay put "a little while longer." 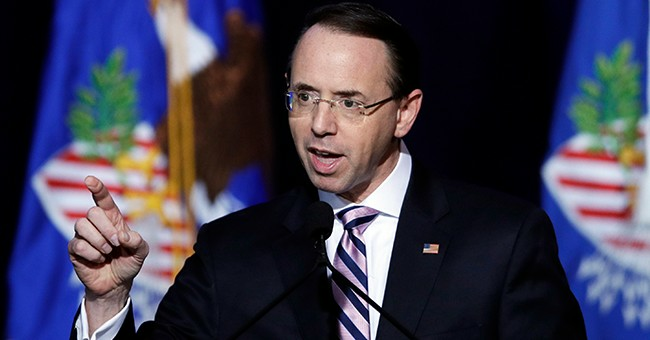 Rosenstein was the subject of a controversial New York Times report in September which revealed that the Deputy AG had suggested, in meetings with former FBI Deputy Director Andrew McCabe, secretly recording the president and invoking the 25th amendment to remove him from office. Rosenstein has denied the claims, but Sen. Lindsey Graham (R-SC) recently pledged that the Senate Judiciary Committee will investigate the allegation. Rosenstein had overseen special counsel Robert Mueller's Russia probe after Attorney General Jeff Sessions recused himself in March 2017. The probe is reportedly ending fairly soon.